Looks like they are having alot of fun over there. Hmm...I don't see Gary, or Mattison. 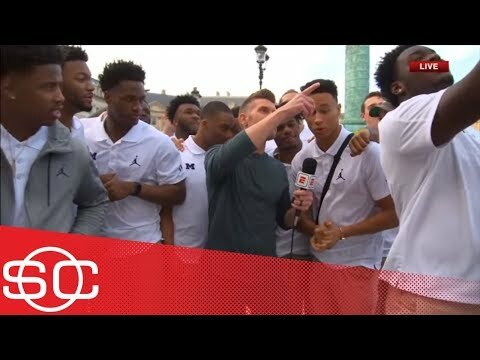 I just saw on ESPN the team was at Normandy and Omaha Beach. Hopefully they have put into perspective what the greatest generation did for all of us. I saw the piece they did on ESPN about their visit and it sounded like it was a very powerful experience. Marty Smith who was covering their trip for ESPN said it was one of the most emotional moments of his life.